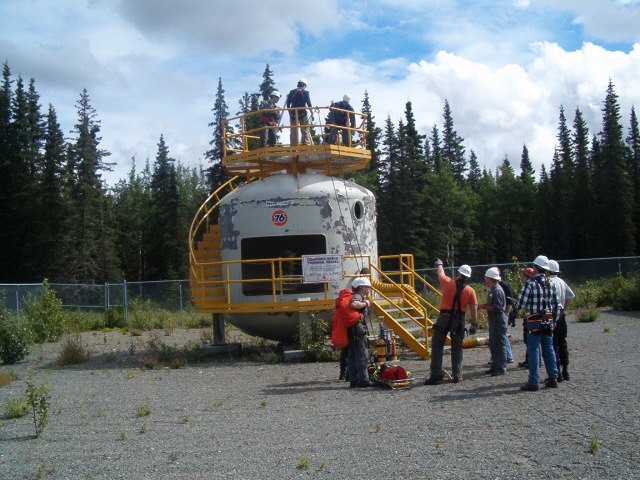 While companies are free to have any policies they choose, our customer was curious about this specific policy and posed the following question: Should rescuers enter a non-IDLH confined space to observe conditions during the entry? Our answer was a catagorical 'yes' for the following reasons. At the start of the project rescue teams should have their pre-plans and equipment established; however, once the entry is underway, these pre-plans may need to be adjusted to reflect changes in tools, tasks, and work locations. Even if rescuers have a good sense of the project scope and timing, changes often occur on short notice and rescuers may not be informed of these changes. The only way to determine if changes to the pre-plan are needed is to inspect operations on a regular basis, and a trained rescuer would be the logical choice to make this inspection. As far as the concern over a rescuer becoming incapacitated while in the permit space, remember that the employer is obligated to provide a means of rescue for all entrants throughout the course of the entry, and a rescuer conducting a routine inspection would be considered an entrant. As long as an adequate rescue capability was maintained outside the space during the entry for all authorized entrants, you would be in compliance with the OSHA codes. These inspections by the rescuers also serve other important functions. Rescuers are invariably highly-trained safety professionals with a good understanding of basic safe work practices, and all rescuers would prefer to prevent an emergency than be forced to respond to one. Having additional safety oversight in a high-hazard work area would be considered a best safety practice. Like I said, companies are free to have whatever policies they choose, as long as they are protecting their workers from hazards. We're not sure that preventing rescuers from entering confined spaces is a way of accomplishing this.